Hollywood has taken to Twitter to express their disbelief and condolences about the terrorist attacks in Paris that has left up to 60 people dead so far, according to French media reports. Several people had been shot at a restaurant in the 10th arrondissement in Paris, and police told the Associated Press that approximately 15 people had been killed in the Bataclan theater, where U.S. rock band Eagles of Death Metal were scheduled to play and where a hostage situation is in play. Approximately 100 hostages have been taken, according to reports. An explosion in France’s main sports stadium prompted the evacuation of French president Francois Hollande during a soccer match between France and Germany. See reactions from actors, athletes and singers below. Terrible news. Thinking of everyone in Paris ???????? Thoughts and prayers with Paris right now. 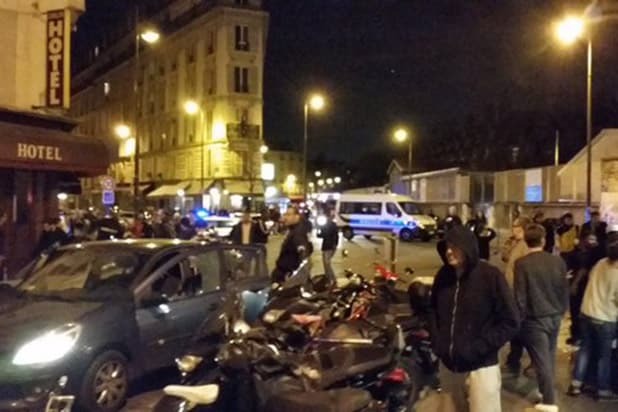 Thinking of everyone in Paris … Police in #Paris are urging people to remain indoors right now. If you are safe, stay where you are. Praying for Paris… Heard some serious act of terrorism going on right now… Not sure all the details but my prayers go out ???????? It's shocking and horrible what's happening in Paris. I hold that beloved city in my thoughts. My thoughts and prayers go out to the citizens of #Paris. Praying for you Paris. Deeply saddened to hear of the events. Nous t'aimons, Paris.